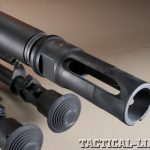 Remington’s Model 700 SPS Tactical is now chambered for the 300 Blackout, a round designed for subsonic, stealth engagements. To get the most out of the 300 BLK cartridge, operators can mount muzzle devices, like this model from SureFire, for adding suppressors. The Hogue OverMolded Ghillie Green stock is comfortable and provides plenty of precise control for faster faster follow-up shots. Remington’s new X-Mark Pro trigger provides out-of-the-box consistency critical for duty use. The author found it had minimal creep. Several agencies have looked for a truly urban precision rifle. 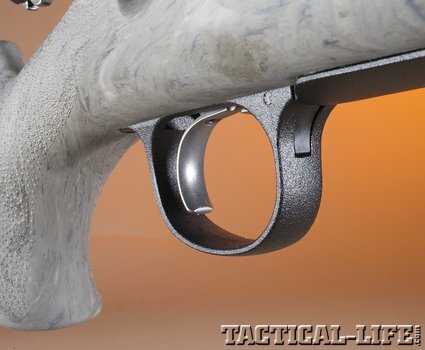 They seldom see operational distances outside 75 yards—most of the time engagements are at 25 yards or less. Deployments are just as likely to be across the hall or even across the room. 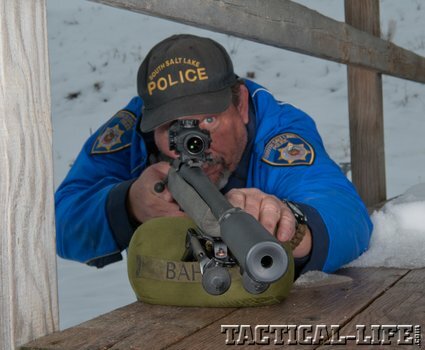 Tightly packed urban areas simply do not call for a rifle that hits at long distances, but rather a light, compact rifle that will get the job done with minimum overpenetration. 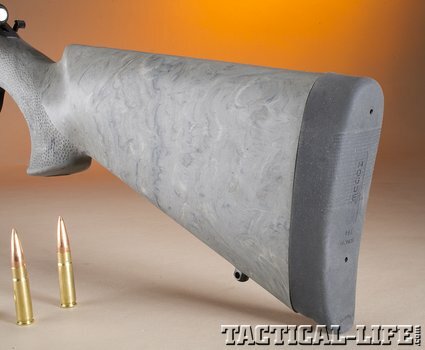 For this, the .308 Winchester remains the favorite caliber, but it can still overpenetrate in close quarters. 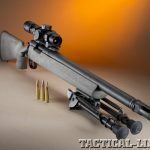 Improvements in ammunition have certainly helped, but the .308 is still better suited for longer ranges or for increased penetration. 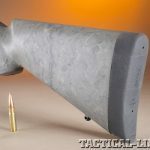 Rifles that are shortened for close-quarters work typically have their barrels cut down to 13 or 12 inches, which threatens to seriously degrade terminal ballistics. These chopped rifles can work, but only with some compromises. While overpenetration is a valid concern, underpenetration is even worse. 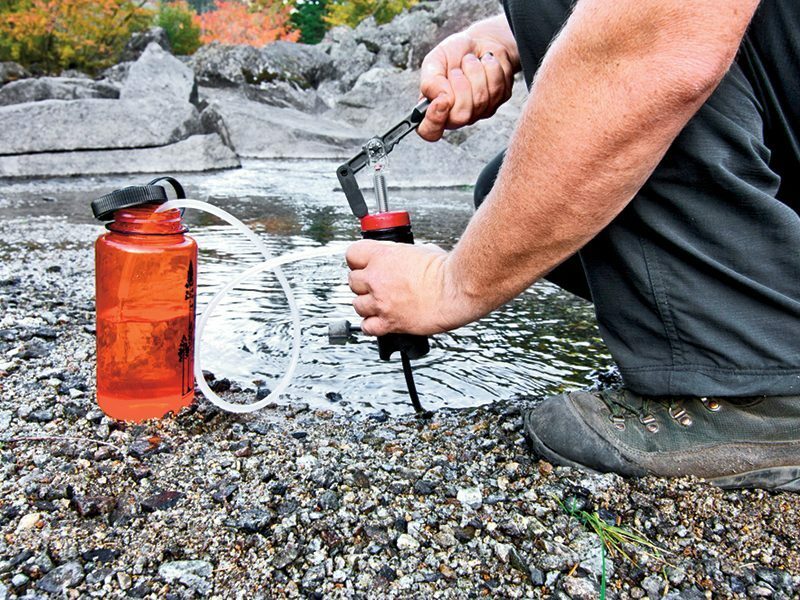 Those who moved to 5.56mm rifles years ago discovered this the hard way. When law enforcement officers deploy their precision rifles, they require immediate incapacitation of their targets—the 5.56mm could not always deliver. 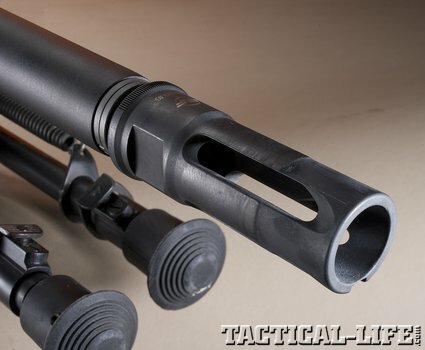 LEOs needed a .30 caliber, and the new 300 AAC Blackout (BLK) may be just the ticket. The 300 BLK has been all the rage these days. 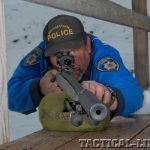 Preliminary testing with short-barreled ARs has been impressive, demonstrating ballistics that look more than adequate for any work an agency or officer would do at realistic distances. With good bullets, the caliber’s accuracy is solid; its reliability is typical of the AR platform. But as promising as these ARs are, the bolt action remains the precision rifle of choice for most agencies and officers. 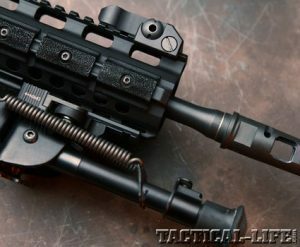 Bolt guns in 300 BLK have been around, but most were custom builds that were overpriced for most agencies. But Remington has now come through with a bolt gun chambered in 300 BLK—and it looks to be a winner. 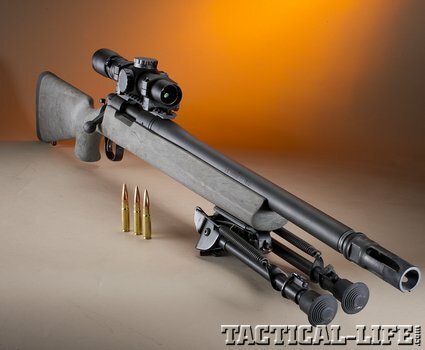 Remington’s Model 700 SPS (Special Purpose Synthetic) Tactical is fast becoming the choice of agencies and officers looking for an affordable precision rifle. 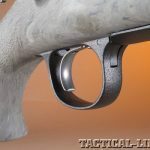 It starts with a Remington 700 hinged-floorplate action and a heavy-contoured, hammer-forged barrel in various lengths (depending on caliber) that is usually threaded to accept a suppressor. 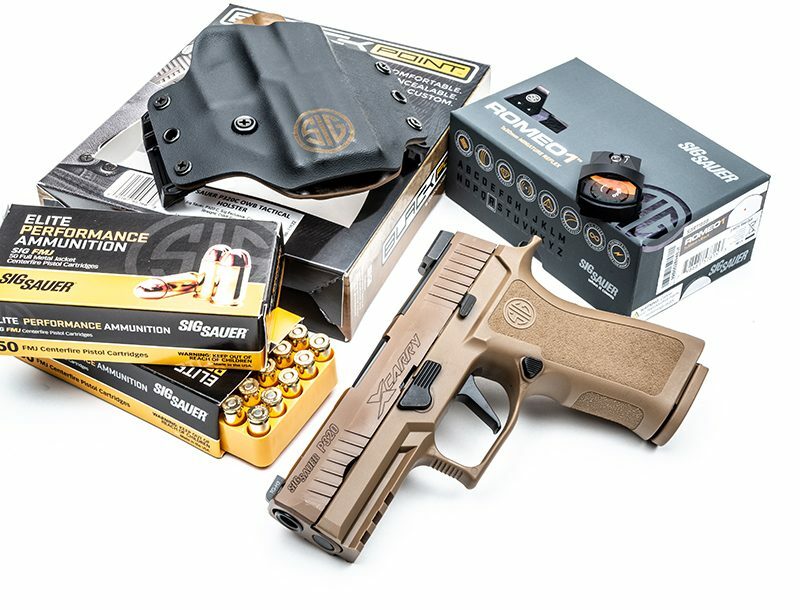 Additional features include an externally adjustable X-Mark Pro trigger and a Hogue OverMolded stock that is pillar-bedded. This stock is simple and durable, and includes a deep pistol grip and SuperCell recoil pad.